Jason Kravitz (Brussels, Belgium) on 9 September 2010 in People & Portrait. Baigné de lumière...un beau shot! This seems a bit like Logan's Run. Watch out old folks! I love this shot! 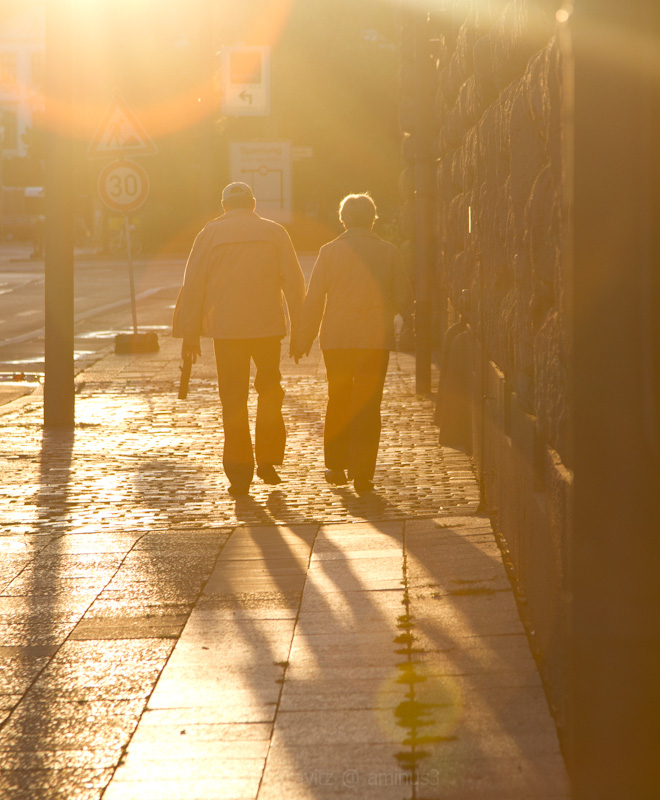 Such a romantic feel of it.....an elderly couple walking in the sunlight with the simplest of affection....holding hands. looks like my old 35mm Nikkor H, great mood and vibe.